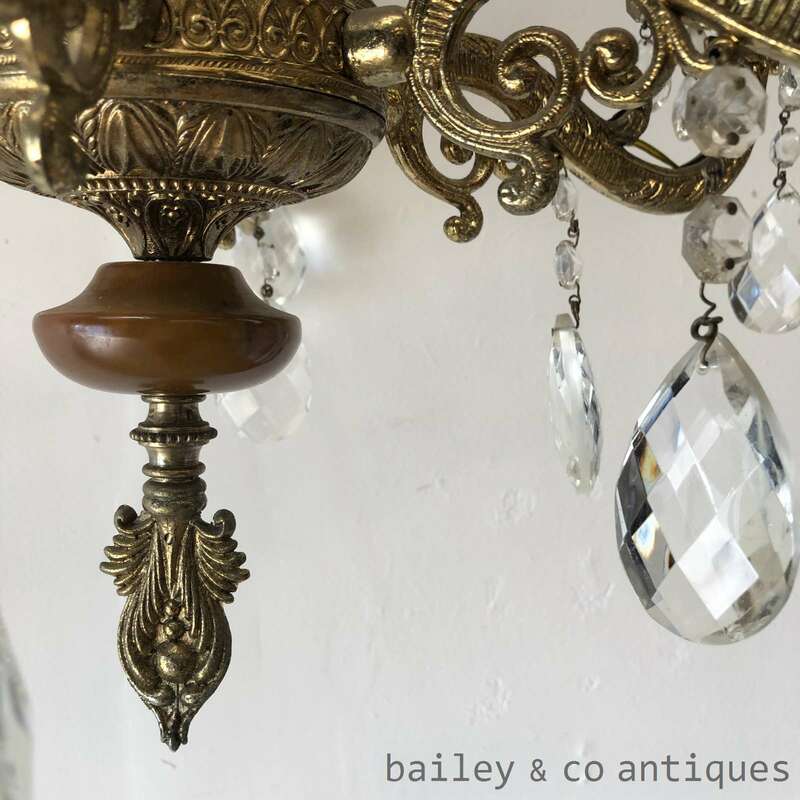 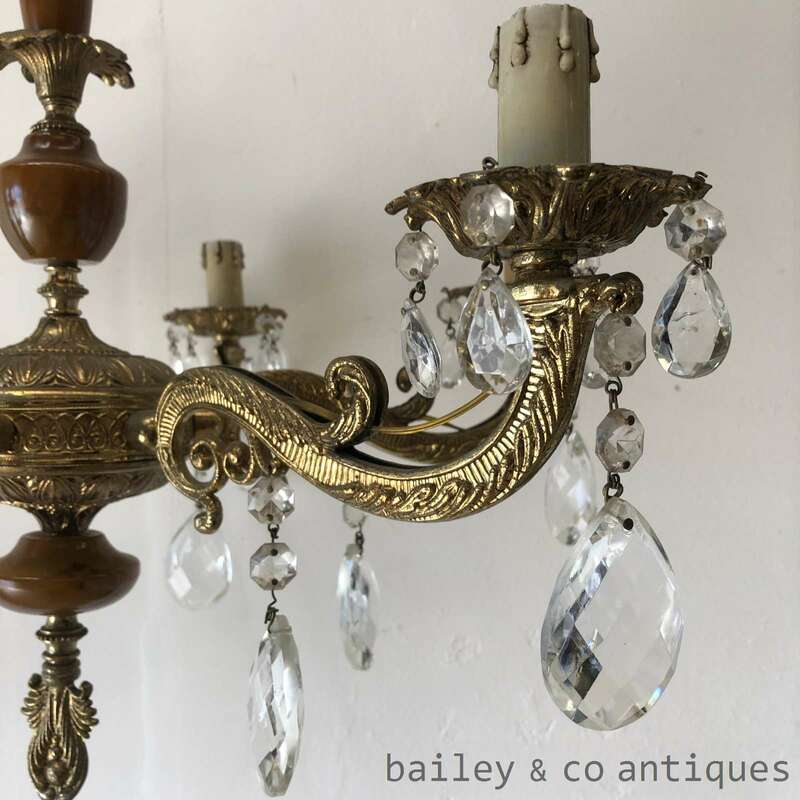 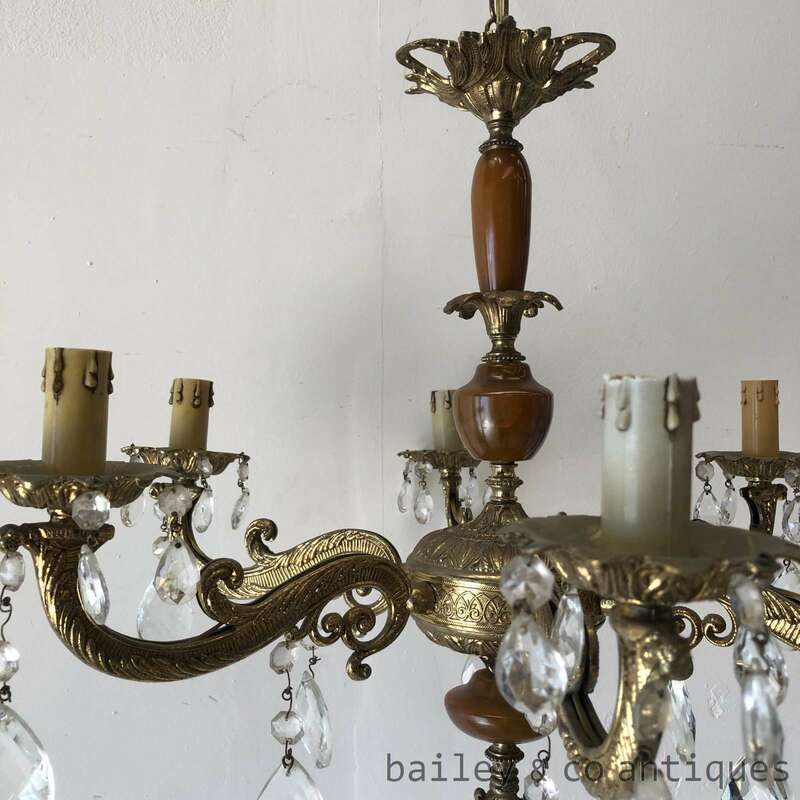 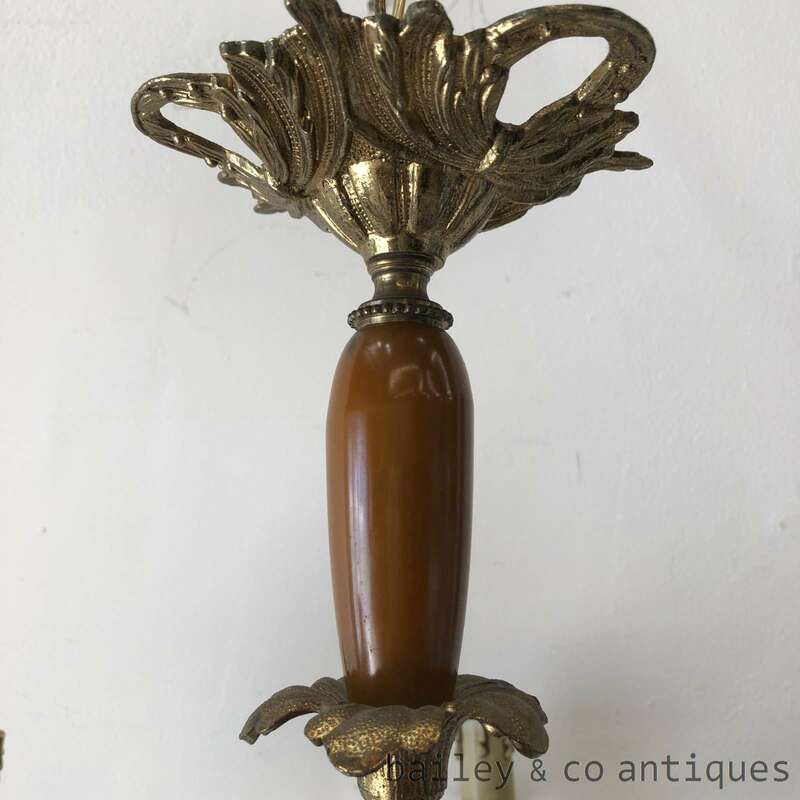 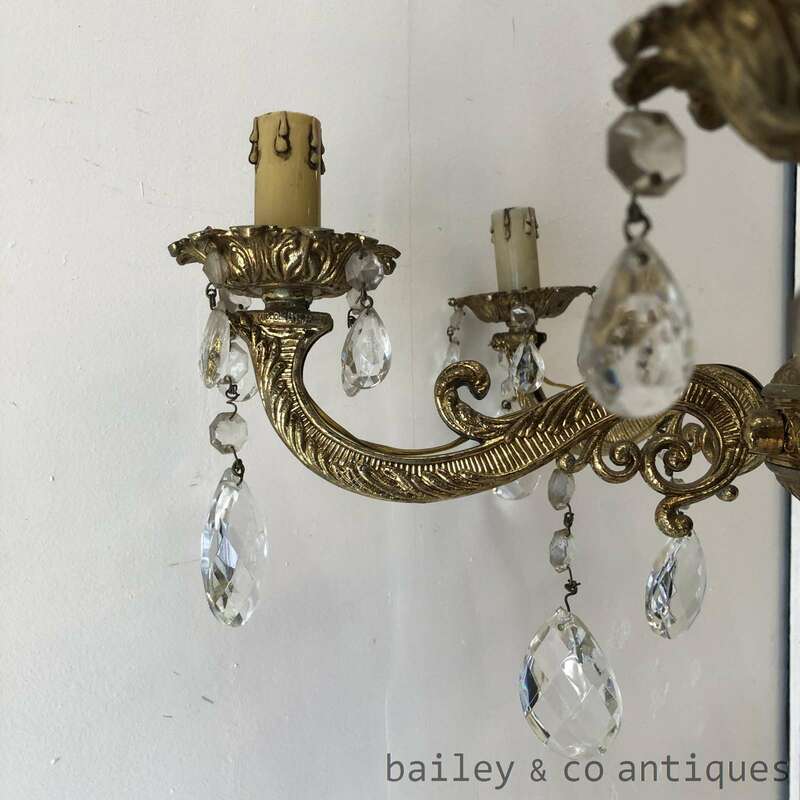 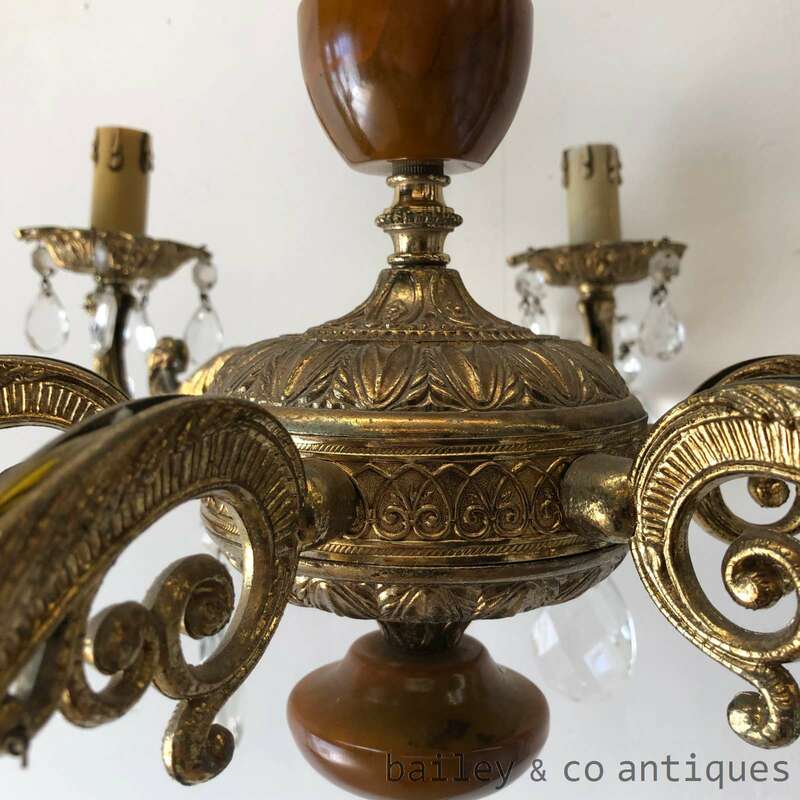 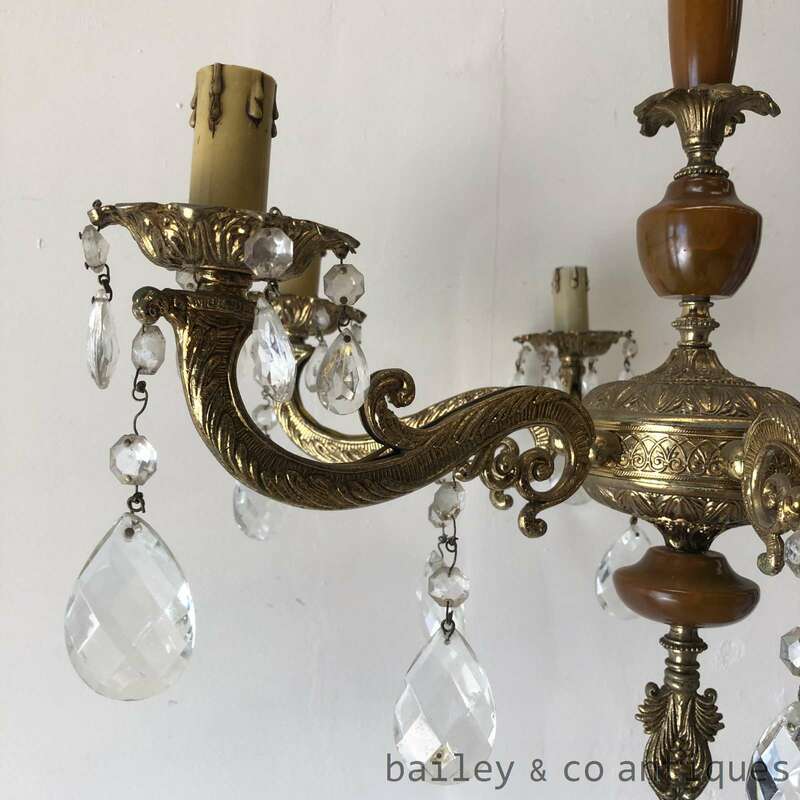 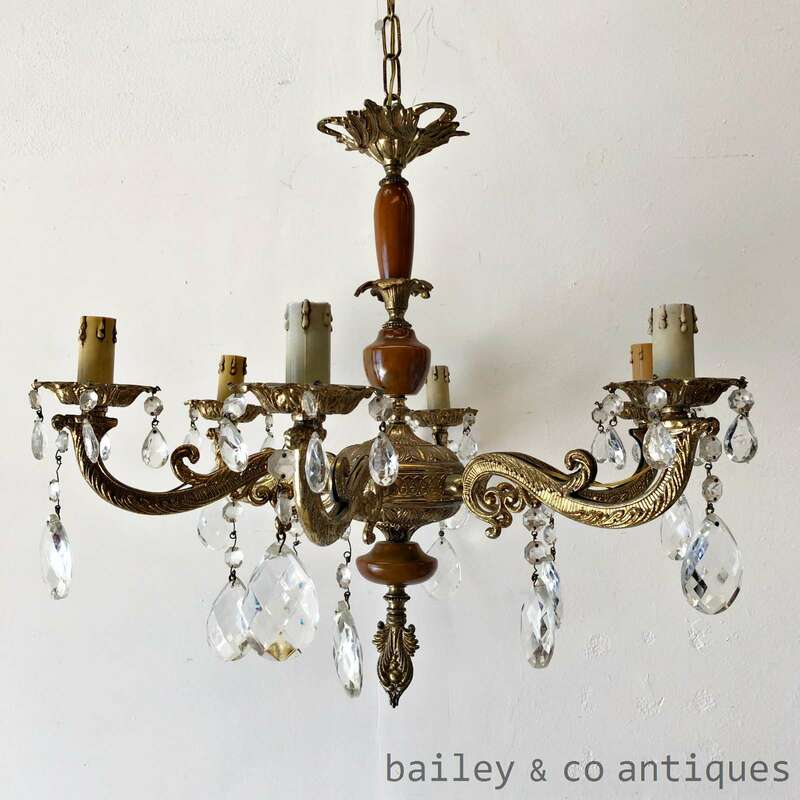 An extremely beautiful vintage French chandelier crafted from brass and crystals. 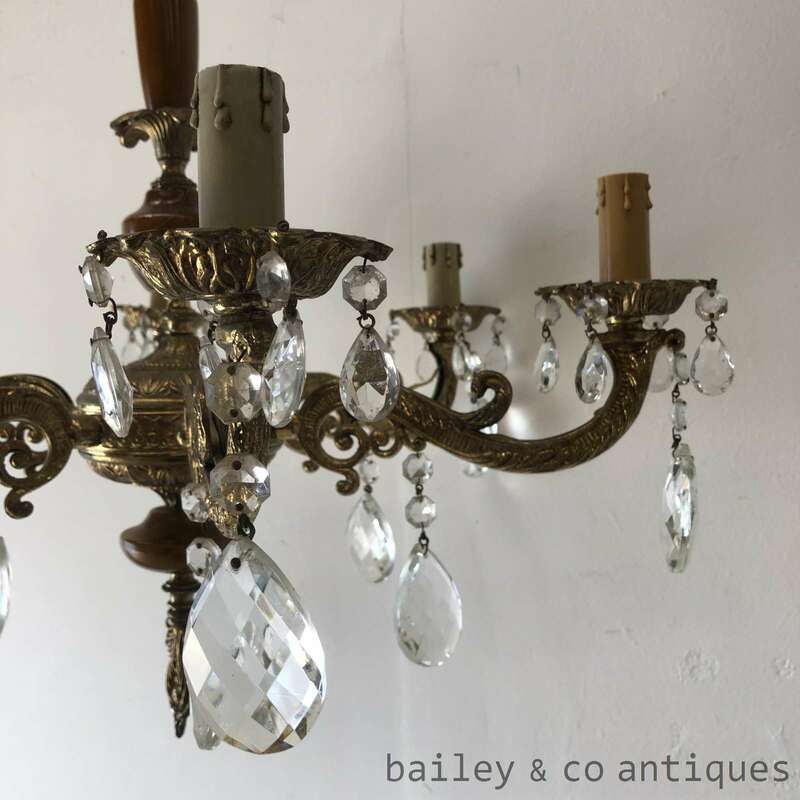 This is a beautiful size. 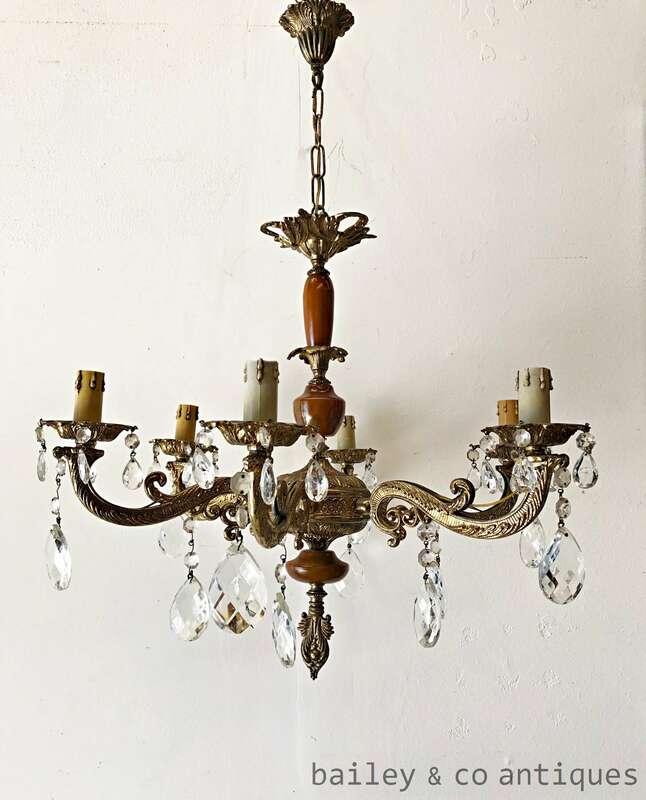 PLEASE NOTE: This chandelier can be posted but is too large for the postage calculator. 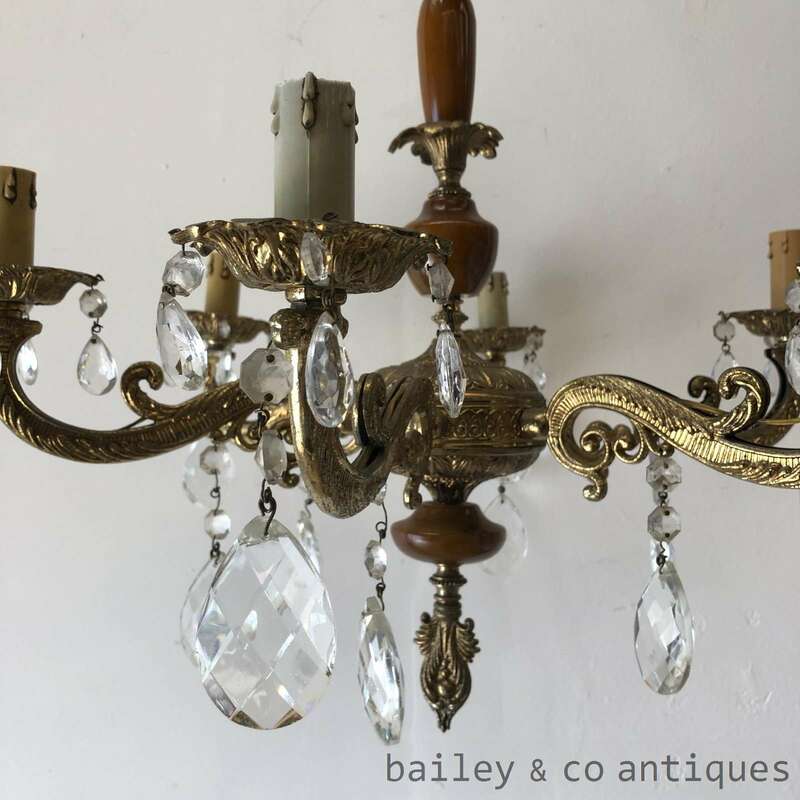 Please send us your suburb name and postcode for a postage quote.